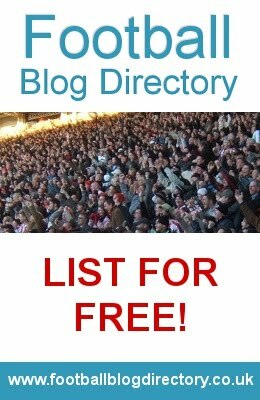 GUEST POST: What would Fraser Forster bring to Southampton? What would Fraser Forster bring to Southampton? Reports emerging in the last few days suggest that Saints are ready to battle with Benfica for the signature of England goalkeeper Fraser Forster. The 26 year old has been with Celtic since 2010, signing permanently in 2012 after an initial loan period and he came to prominence last season after setting an SPL record for the longest period without conceding a goal. Any full England international would be a welcome addition to the Southampton squad but does Ronald Koeman stand a chance of landing the player and what would he bring to St Mary’s? Southampton are priced at 11/1 with Betfair for a top six finish at the end of 2014-15 but if we are to crash the European places, a consistent and injury free custodian is one of Koeman’s main priorities. Artur Boruc may be a controversial figure as far as other clubs are concerned but he quickly becomes a fans’ favourite with his respective employers. The main issue with the Pole is his appearances and a number 1 would preferably play more than 50 league games out of a possible 76 over two seasons. Contrast that record with the clubs who finished just ahead of Southampton last season. Spurs, Everton and Manchester United all have reliable stoppers in Hugo Lloris, Tim Howard and David de Gea and their near ever-presence is a positive factor for each side. No-one can guard against a freak injury but the first thing that Fraser Forster should bring to Southampton is a consistent option behind the back four. 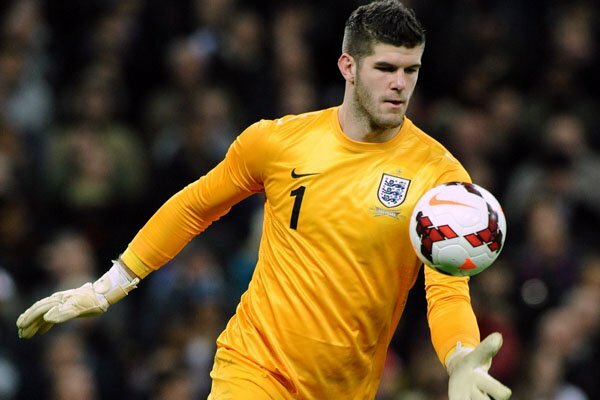 Is Fraser Forster heading to St. Mary’s? 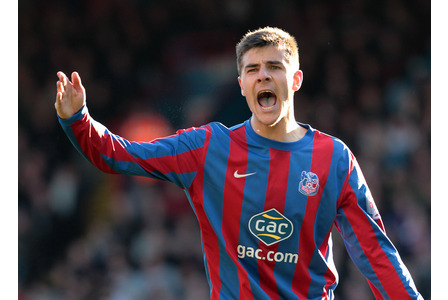 Forster’s record breaking exploits last season provide some remarkable statistics. The 26 year old claimed no less than 13 consecutive clean sheets and an incredible 1256 minutes without conceding before Aberdeen’s Jonny Hayes finally found a way past him. Naturally, any detractors will be quick to point out that the Scottish Premier League doesn’t contain quite the same threat that the English version will pose, should Forster make the switch. That may be a valid point but 13 clean sheets is an amazing achievement, no matter where the games are played. So Fraser Forster would bring consistency and an improvement in technical ability to St Mary’s but what are Koeman’s chances of landing him? Benfica are thought to have been monitoring Forster for at least a year now and have previously been warned by Celtic against tapping up their player. This summer, the Portuguese giants are expected to make it official with a £6m bid and there are obvious temptations in playing with such a prestigious club in a pleasant climate. Southampton have at least two advantages here: Firstly, having made in excess of £60m in player sales already, the transfer fee should not be an issue. 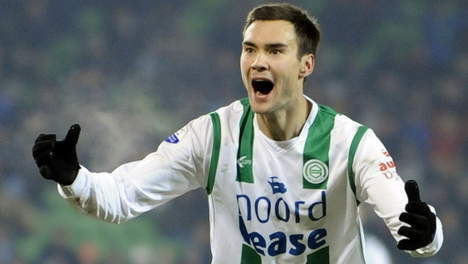 In fact, if it gets down to a bidding war, Koeman would, in theory, have money to work with. The second factor may be the most crucial one however as Forster looks to build on his two England caps and potentially replace Joe Hart as Roy Hodgson’s first choice. In Portugal he would, in all probability, escape the manager’s radar but at St Mary’s he would be in front of Hodgson and his managerial team on a weekly basis. 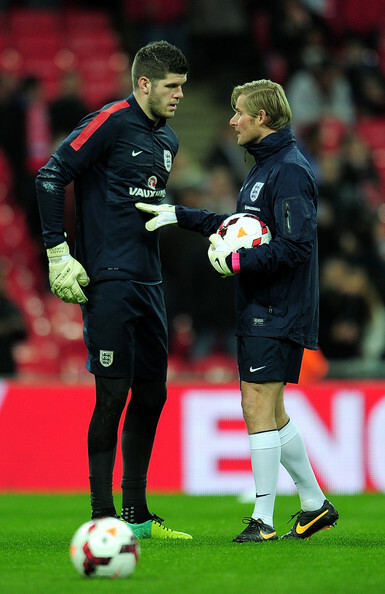 Ironically, Artur Boruc praised Forster when he was named in England’s 2014 World Cup squad. 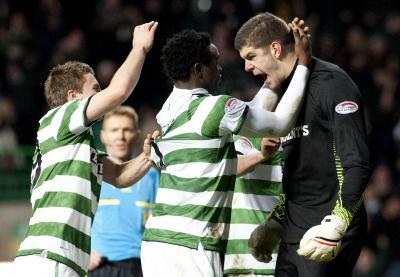 “I still watch Celtic games on TV so I saw him in the Champions League and I can see he is a good keeper. I’m not surprised he has been selected,” he said. 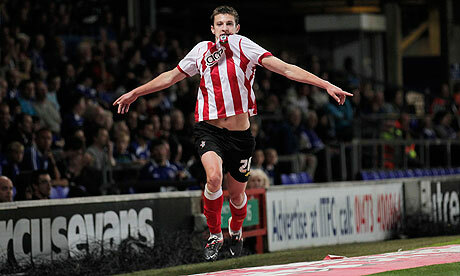 In a short space of time they could be joining up at St Mary’s and surely that would be good news for all Saints Fans? Having been lucky enough to visit the beautiful city of Edinburgh over the last few days, I have come to the conclusion that it is a Rugby town, or at least that is what they would like you to believe. The first thing of note that I could see on the skyline as I drove into the city was Murrayfield, home of the Scottish Rugby Team, in fact this was the most prominent sight from the hotel window and it is an eyesore. Don’t get me wrong I like stadiums, but perhaps because it isn’t a football stadium it seemed a bit dull and ugly. What I really wanted to see were the stadia of the Scottish capitals two professional football sides. Hibernian and Heart of Midlothian. In the centre of Edinburgh, steeped in history and fantastic architecture there is a distinctly Bohemian feel, and you could be fooled into thinking that there were no football clubs in the area. Overshadowed by their gigantic and famous Glasgow neighbours, both Edinburgh clubs have have joined the ranks of the Scottish Premier Leagues also rans in recent history. It was no surprise to see many Old Firm shirts in the city centre, and not one of the local teams, or that the cities many souvenir and tat shops are selling Celtic and Rangers paraphernalia and not that of the Hearts or Hibs. In a city that homes over 480,000 people, it shows the level of interest in the clubs that neither team breaks an average of 12-14k people for home games. But don’t that let you think that their isn’t a vibrant footballing rivalry alive and well in the back streets and suburbs! The first Edinburgh derby was played on Christmas day in 1875, making it one of the oldest rivalries in World Football and there are similarities with the more world renowned Glasgow derby. Hibernian like Celtic were formed by Irish immigrants, reflected in their name and colours while Hearts were founded by the indigenous Scots. Tynecastle, the home of Hearts and Easter Road, the home of Hibs are situated just under four miles apart. While the city and it’s proudest features are clear for all to see, you have to hunt a little further to find the homes of these two proud football clubs. 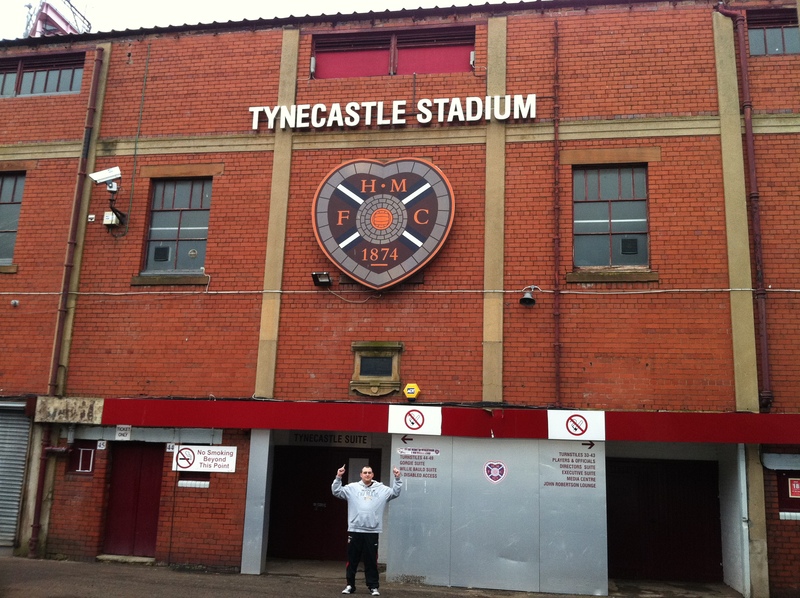 Situated in Gorgie, in the West of Edinburgh, Tynecastle is one of those “blink and you’ll” miss it grounds. In an area that is largely downtrodden, the stadium and it’s situation has a distinctly traditional feel and more importantly something that all good football grounds should have. Character. It reminded me of the Dell and to a lesser extent Kenilworth Road, almost looking out of place in it’s location, but at the same time very much part of the area. 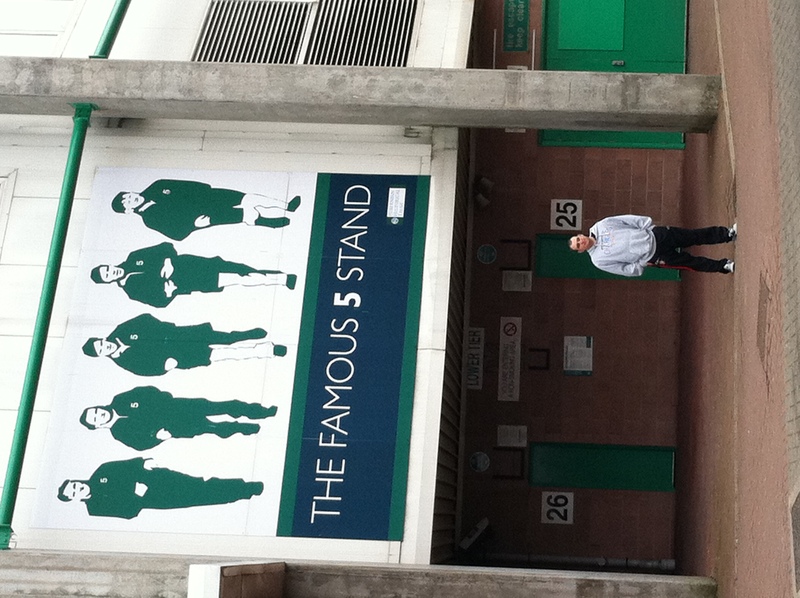 In contrast, Easter Road has a much more modern feel to it. Situated in the North of Edinburgh, in Leith, the stadium is all together “cleaner’ and perhaps easier on the eye, more in the light and bright St. Mary’s style(complete with Megastore) than the Tynecastle red brick. Similarly though, it is also hidden away, slightly easier to notice than Tynecastle, but more like a built for purpose stadium area. What was for certain from both grounds, that I certainly didn’t get from Murrayfield was that aura of atmosphere that you only get at a football stadium. So, while the city seems intent on celebrating it’s Rugby heritage(and why not), it’s “dirty secrets” are bringing pleasure to far more people on a regular basis!